San Bernardino, California Car Accidents Lawyers with Over 40 Years of Experience and Success Rate of Better Than 95%! San Bernardino, California car accidents cause serious injuries, substantial property damage, and sometimes even wrongful death. Our San Bernardino wrongful death, car accident personal injury claims lawyers are very experienced and knowledgeable, and have handled thousands of car, truck and motorcycle accident cases over the past 40 years with better than a 95% success rate in resolving personal injury and wrongful death accident cases in San Bernardino, Riverside, Los Angeles and all throughout California. With more than 40 years of experience in successfully handling thousands and thousands of car accident and other accident injury claims, we are a group of accident claim attorneys offering our legal services for San Bernardino, Riverside, Los Angeles and other places in California. If we take your injury accident case we will take it on a contingency fee basis. That means you pay NO fee unless and until we win. That is how confident we feel if we take your case. There are many things to do right away, and some things not to do and NOT to say, so please contact us now to avoid making any mistakes which may damage your rights and remedies. 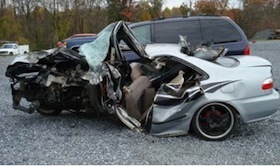 Our expert car accident injury lawyers know how to handle car accident cases, from getting damaged cars towed and repaired, free rental cars, immediate medical care without payment due until your case is resolved, to maximum settlements while providing expert legal advice and clear explanations of the claims process all along the way. To see what other clients have said about us, please visit our testimonial section. There are many time rules (including the California statute of limitations) and procedural rules (e.g., in car, truck and motorcycle insurance policies, the California DMV, etc.) so please do not wait. Please do NOT risk making a mistake or missing a key time deadline. Please contact us now at 818-222-3400 or 1.866 INJURY 2 (after hours just dial “1”) for your FREE & CONFIDENTIAL consultation and case evaluation. Medical Care: Personal injury car accidents in San Bernardino, CA often leave victims dealing with serious injuries that require regular medical care and physical therapy attention. Our San Bernardino lawyers help clients obtain medical care, including doctors, physical therapists, chiropractors,, specialists such as orthopedic and plastic surgeons, neurologists, dentists and psychologists, usually without any payment due until the claim is resolved. Moreover, clients can receive assistance for medications, X-Rays, including MRI and CT scans, usually with no payment due until your claim is resolved. Vehicle Repairs: San Bernardino car accidents can cause heavy damages to cars, trucks, and motorcycles. Our San Bernardino car accident lawyers and law offices help you with your vehicle repairs, total loss settlements, storage, towing; and if required, free car rental. Transportation to Doctor: Our San Bernardino car accident lawyers and legal team assist clients in finding doctors, arranging appointments and, whenever required, arrange transportation for injured clients to and from the hospital, medical clinic and other doctor and physical therapy appointments. If you need help with transportation to your doctor, please let us know. Cash Advances/Emergency Loans: San Bernardino, California car accidents can exhaust your finances especially with unexpected medical bills and added expenses to take care of at a time when you may miss out on work and suffer a loss of earnings. Our experienced San Bernardino car accident lawyers and law offices will assist you in receiving appropriate loans and advances if needed to cover those additional expenses. If you or anyone you care about has been involved in a San Bernardino, CA car accident or any motor vehicle collision, or if a family member was tragically killed in a car accident or other accident, please call us right now for your FREE & CONFIDENTIAL car accident personal injury advice. You also may simply go to our contact us form and tell us about your San Bernardino car accident case. You can look through our lawyer profiles and get to know our experienced and well-qualified lawyers. Furthermore, learn about the formalities, procedures, and rules associated with San Bernardino, California and other personal injury and wrongful death claims by visiting our Car Injury Accident Web Site; and for more specific help about your very own particular car accident injury case please call us now at 818-222-3400 or 1.866 INJURY 2 (after hours just dial “1”) for an absolutely FREE & CONFIDENTIAL consultation on your San Bernardino car accident injury case. Remember, our car accident injury lawyers offer FREE legal consultations and evaluations on San Bernardino, CA car accident claims and take our clients’ cases on a contingency basis, which simply means there is NO fee until you WIN! With a FREE consultation and NO fee unless you win, there is NO reason to delay. The sooner you call us the better it will be for you. Don’t miss needed medical care. Don’t miss a key time deadline or required procedure. Please call us now – you will be glad you did! San Bernardino is a city located in the Riverside San Bernardino Metropolitan area which is sometimes also known as the Inland Empire. It serves itself as the County seat of San Bernardino County, California. As one of the Inland Empire’s anchor cities, San Bernardino spans 81 square miles on the floor of the San Bernardino Valley. As per the 2010 census, the population of the city is around 209,924. 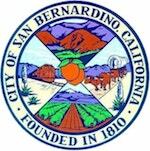 San Bernardino is considered to be the 17th largest city in California and the 100th largest city in the United States. San Bernardino is home to numerous diplomatic missions for the Inland Empire, being one of the four (4) cities in California with numerous consulates. San Bernardino is located in the Northwestern part of the county. 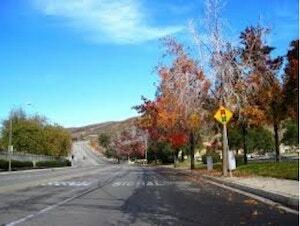 Some of the best attractions in San Bernardino include ASU Fox Theatre, California Theatre, the San Bernardino Mountains, and San Manuel Amphitheater. 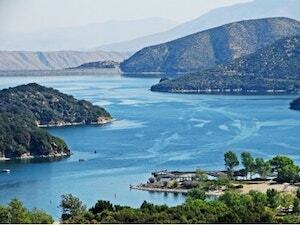 San Bernardino features a hot summer Mediterranean climate with mild winters and hot and dry summers. The city’s northernmost neighborhood gets snow, heavily at times, due to its elevation of about 3,000 feet above sea level. San Bernardino is divided into several districts. There are several hotels, restaurants and retail establishments have been built in the southern part of the city. San Bernardino offers several parks and other recreation facilities. 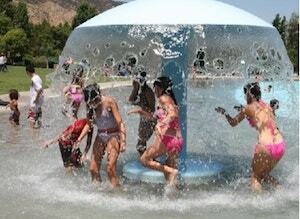 Perris Hill Park is the largest with Roosevelt Bowl, a shooting range, hiking trails and a pool. Some of the better known universities and colleges in the city are San Bernardino Valley College, National University, UEI College, ITT Technical Institute and a few more. San Bernardino is and has been home to many famous people over the years including Shailene Woodley, Gene Hackman, Jimi Bertucci, Ron Magers, Bryon Russell and others. Our San Bernardino car accident injury and wrongful death lawyers really care about helping victims of accidents and want to help you get the results you expect. Here are some of our wrongful death & personal injury law firms’ credits, awards and accomplishments. For an easy, free and confidential consultation, fill-in the details in our contact us form and fill us in on your San Bernardino, CA car accident or any other injury claim.